An existing school program in which therapy dogs are integrated into the reading curriculum was analyzed to determine the effect on student reading. Previous literature suggests an improvement in both reading skills and attitudes towards reading when students read in the presence of a therapy dog. Using a mixed method model, the researchers analyzed standardized reading test scores of 169 students in kindergarten through fourth grade and conducted interviews with educators and dog owners. 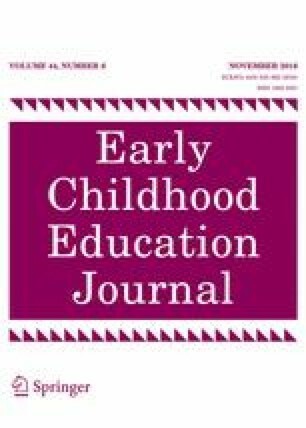 A series of t tests conducted by grade indicated a significant difference, but only in kindergarten where the children in the dog reading group achieved higher end-of-year reading scores than a control cohort. A follow-up analysis of covariance controlling for mid-year reading scores confirmed that these differences were not related to preexisting reading levels. Interview results agreed with earlier studies noting improvements in reading and writing skills as well as attitude and enthusiasm for reading across all grade levels but with greatest gains for Special Education, ESL, and children who struggle with reading. Archival data from subsequent years is being collected and will seek to replicate the findings in kindergarten and to examine the cumulative effect of the reading program. Editorial staff at Early Childhood Education Journal for their suggestions on an earlier version of this article. TAPLab (Testing, Assessment and Psychology) at The College of New Jersey (TCNJ) for data entry, interview, insights, analysis. Faculty and professional staff at the elementary school for opening their classrooms for observation and participating in interviews. Special thanks to school principal, Anthony Abeal, for his support and enthusiasm for the project as well as hours spent in obtaining data. Special thanks to office staff for assistance with obtaining data. Special thanks to Kindergarten teacher, Ashley Thompson, for initiating the program at the elementary school, and serving as a tireless liaison between the research team and the school. Dog owners for their participation in the program and time spent in interviewing. Dogs (Ali, Apollo, Bailey, Belle, Bernie, Bob, Charley, Cooper, Jade, Lexi, Lilly, Molly, Penny, Rena, Sassy, Seamus, and Valentine), without whom this program would be impossible. The authors declare that this research did not receive funding. The authors declare that they have no conflict of interest. The lead author is a therapy dog volunteer. She has volunteered at senior citizen assisted living centers, a developmentally challenged adult summer camp, and the reading program at the school under study. This is an original piece of research that has not been published elsewhere, nor is it currently submitted elsewhere for publication consideration. Further, all relevant IRB and school approvals were obtained and protocols followed in this study. AKC. (2015). Therapy dog organizations. Retrieved from http://www.akc.org/events/title-recognition-program/therapy/organizations/. Angel Paws. (2015). What is animal assisted activities and therapy (AAA/T)? Retrieved from http://angelpawstherapy.org/what-is-animal-assisted-activities–therapy-aaat.html. Booten, A. E. (2011). Effects of animal-assisted therapy on behavior and reading in the classroom. Retrieved from http://mds.marshall.edu/cgi/viewcontent.cgi?article=1023&context=etd. Bright and Beautiful. (2013). Retrieved from www.golden-dogs.org. Department of Education, State of New Jersey. (2014). NJ school performance report. Retrieved July 2, 2014, from http://www.state.nj.us/education/pr/1213/25/255420080.pdf. Griese, J. O. (2010). A canine audience: The effect of animal-assisted therapy on reading progress among students identified with learning disabilities. Dissertation Thesis University of South Florida. Retrieved September 27, 2015, from http://scholarcommons.usf.edu/cgi/viewcontent.cgi?article=2648&context=etd. Kaymen, M. S. (2005). Exploring animal-assisted therapy as a reading intervention strategy. Master’s Thesis, Division of Education, School of Business, Education and Leadership, Dominican University, CA. Retrieved September 27, 2015, from http://files.eric.ed.gov/fulltext/ED490729.pdf. Martin, S. (2001). R.E.A.D. is a pawsitive program for kids of all ages. Interactions, 19 (3), 7–8. Retrieved June 23, 2013, from http://www.petpartners.org/Page.aspx?pid=532. Paradise, J. L. (2007). An analysis of improving student performance through the use of registered therapy dogs serving as motivators for reluctant readers. University of Central Florida. Retrieved June 20, 2014, from http://etd.fcla.edu/CF/CFE0001561/Paradise_Julie_L_200705_Ed.D.pdf. Pet Partners. (2015). Learn/terminology. Retrieved from https://petpartners.org/learn/terminology/. Shannon, M. (2007). The benefits of children reading to dogs in public libraries and after school centers: An exploratory study. (Doctoral dissertation). Retrieved from http://readtothedogs.org/READthesis.pdf. Shaw, D. M. (2013). Man’s best friend as reading facilitator. The Reading Teacher, 66 (5), 365–371. doi: 10.1002/TRTR.1136. Retrieved from http://www.readdogsmn.org/uploads/8/5/3/7/8537911/read_in_reading_teacher_feb13.pdf. Sit Stay Read. (2013). New first grade program. Retrieved from http://sitstayread.org/2013/03/28/new-first-grade-program/. Smith, C. (2009). An analysis and evaluation of the Sit Stay Read program: Is the program effective in improving student engagement and reading outcomes? (Doctoral dissertation). Retrieved from http://digitalcommons.nl.edu/diss/32. Therapy Dogs International (TDI). (2013). Our programs. Retrieved from www.tdi-dog.org.